Air India's 'Fly for Sure offer' is applicable for passengers wanting to prepone or postpone their original booked flights to an alternate flight of Air India operating on the same day. Air India's 'Fly for Sure offer' is valid only for Air India operated flights. Air India's offer is valid for both economy and business class travels. Air India's offer is valid only for Air India operated flights. This offer is not applicable for Alliance Air and Code Share flights. Air India's 'Fly for Sure Offer' allows flexibility of one-time flight change facility on same day for passengers who are concerned their travel plans may change. Air India's 'Fly for Sure offer' is applicable only on domestic flight tickets. Passengers who are uncertain about their plans can pay extra Rs 2,000 plus GST charges (5 per cent for economy class and 12 per cent for business class) while booking the ticket and they can board any Air India flight on the same day and same sector, said Air India on its official website-airindia.in. Air India's 'Fly for Sure offer' is applicable for passengers wanting to prepone or postpone their original booked flights to an alternate flight of Air India operating on the same day. 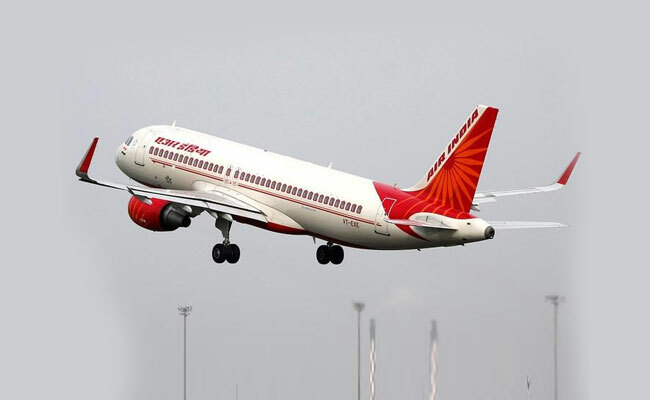 Air India's offer on domestic flight tickets also includes domestic leg of the international flights before closing of check-in counter, said Air India. 'Fly for Sure offer' of Air India is applicable only on sector where alternate flights are available on the same day. Passengers can easily visit the airlines ticketing office, city ticketing office or call centre and prepone/postpone their original flights to alternate flights of Air India. 1. Air India's 'Fly for Sure offer' is valid only for Air India operated flights. 2. Air India's flight change is not applicable for Alliance Air and Code Share flights, sad Air India. 3. Air India's flight change is not applicable for redemption/award tickets. 1. The advance payment of Rs 2,000 is non-refundable, in case the facility is not availed, said Air India. 4. All bookings are subject to conditions of carriage published on the Air India's website.